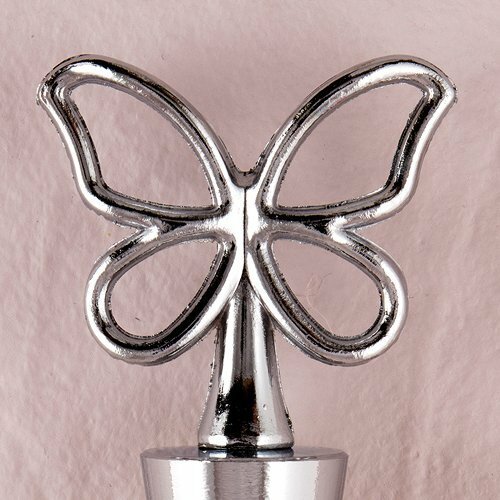 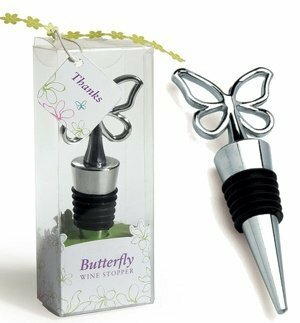 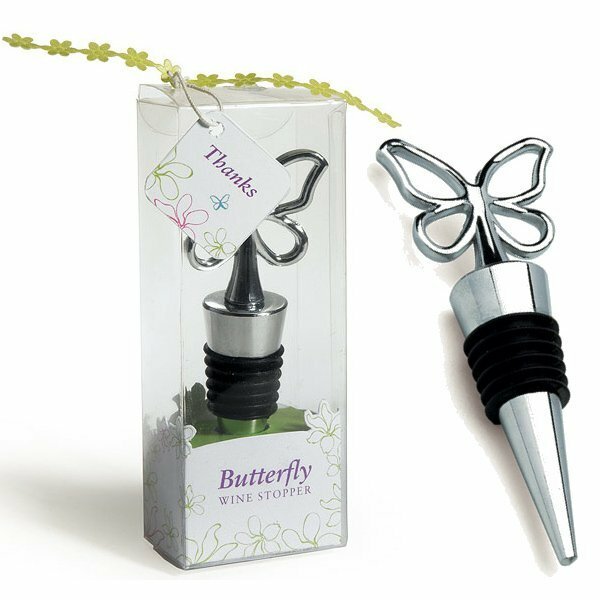 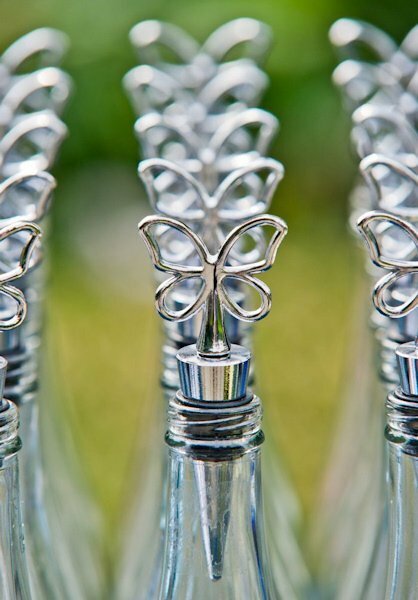 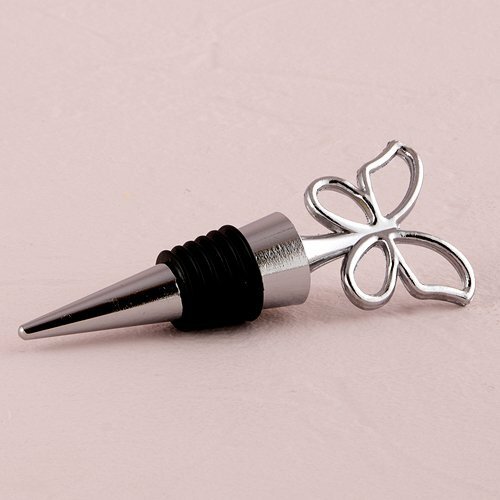 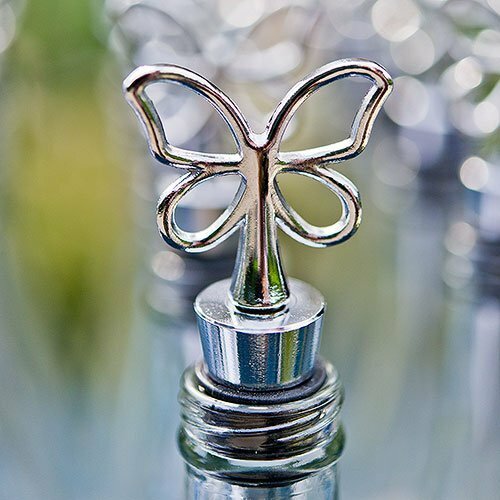 A delicate butterfly sits atop this fashionable wine stopper. 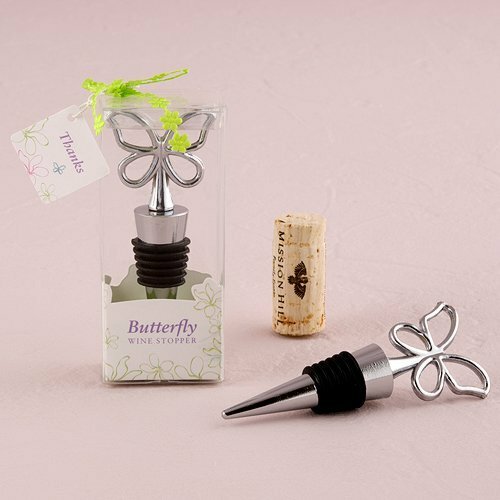 Comes gift packaged in a printed box with a graphic floral pattern and includes ribbon and tag. 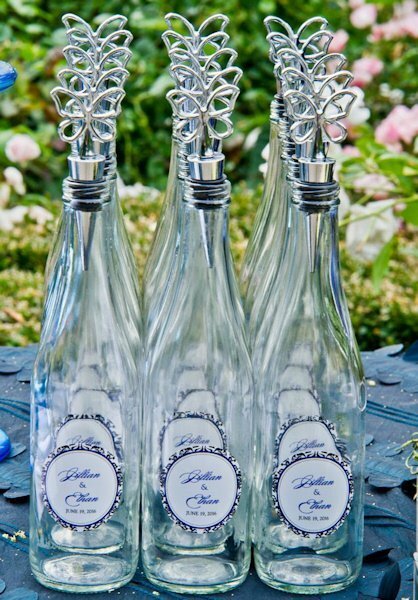 Here is a fresh take on a popular wedding concept. 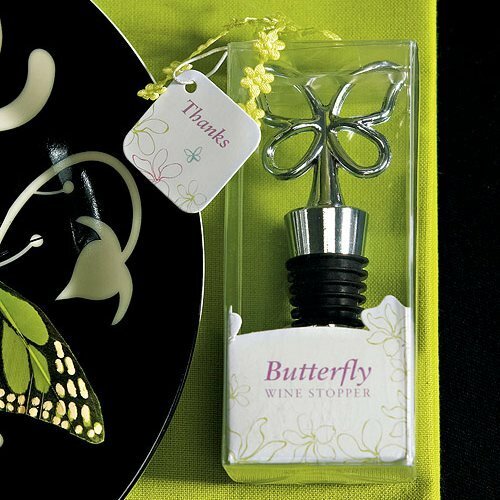 Plan to coordinate this delightful favor with other butterfly inspired stationery and accessories to create a cohesive look. 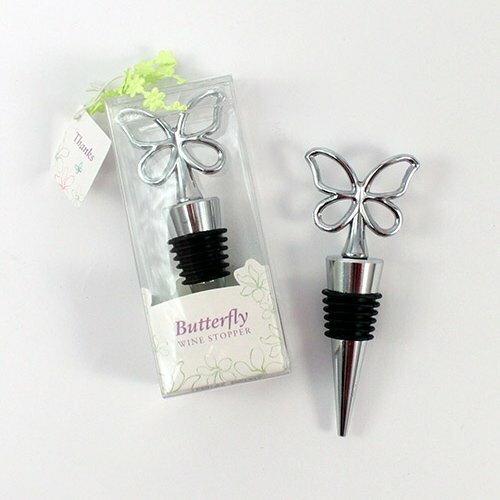 Made of alloy metal and aluminum with chrome plating.